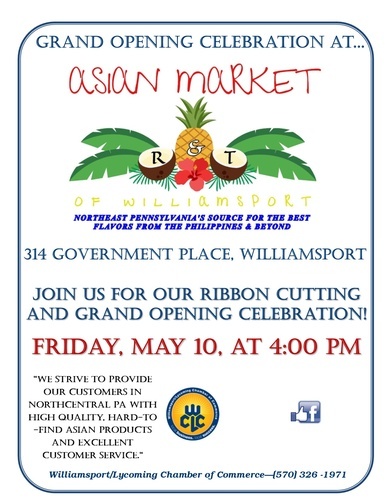 R&T Asian Market of Williamsport Ribbon Cutting & Grand Opening! Name: R&T Asian Market of Williamsport Ribbon Cutting & Grand Opening! Join us for our Ribbon Cutting and Grand Opening Celebration!